Tree clearance in Wainoni Park will be undertaken as one of the first activities on site. The locations of tree clearance are indicated in red in the graphics below. Works will commence on Monday 14 January 2019. Additional activities to be undertaken are to establish our site compound and construct a site access road from Greenhithe Road. I will keep you updated on the progress and subsequent sequence of works. As the construction of the Northern Interceptor wastewater pipeline progresses through Wainoni Park, construction works will include heavy trucks and machinery, digging trenches and excavations to depths of 3m. The pipe alignment intersects the public walkway within the park and to ensure that the public are safe during construction, we will temporarily close a section of the pedestrian access walkway. 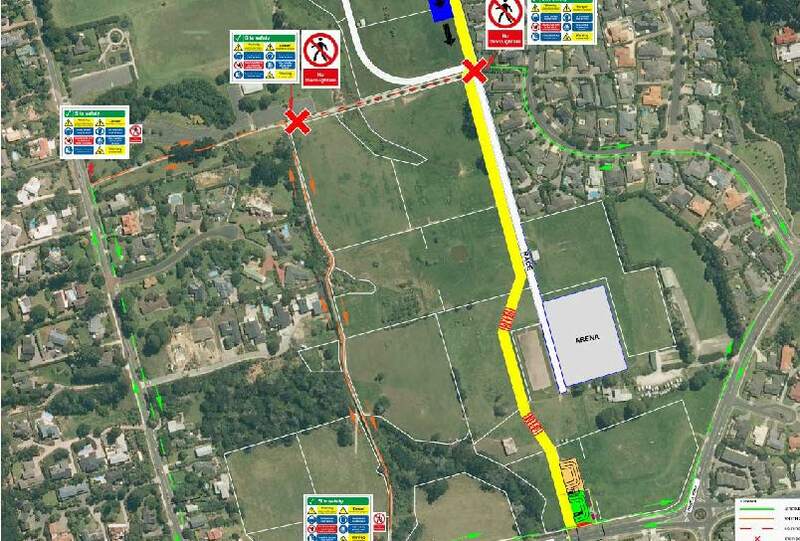 Signage will be erected at the entrance to the park along Greenhithe Road, Churchouse Road and Te Wharau Drive informing the public that there is no thoroughfare from Wainoni Park to Te Wharau Drive. Alternative routes are highlighted in green. Please refer to the graphic on the back of this letter. We appreciate your understanding of this safety initiative as we begin the works within Wainoni Park. We will aim to complete this work as quickly as possible. Works are predicted to take 2 – 3 months to complete. If you have any questions regarding these works please email Claire Donnelly (Stakeholder Manager) at NIproject@water.co.nz or phone directly on 021 607 774. Watercare’s Customer Services team are available at info@water.co.nz or on (09) 442 2222, Monday to Friday, 7.30am to 6.00pm (except public holidays).